At some point in life, people may need to see a doctor for a simple routine visit, due to an illness or, perhaps, an accident. For a foreign patient, however, who does not speak English, that simple appointment may be very complicated. When the health problem is more delicate, even those who speak English often feel more comfortable if they can explain their condition to a doctor who can speak their mother tongue. An illness, nevertheless, surfaces without notice. Therefore, if one needs to see a doctor, communication is paramount. 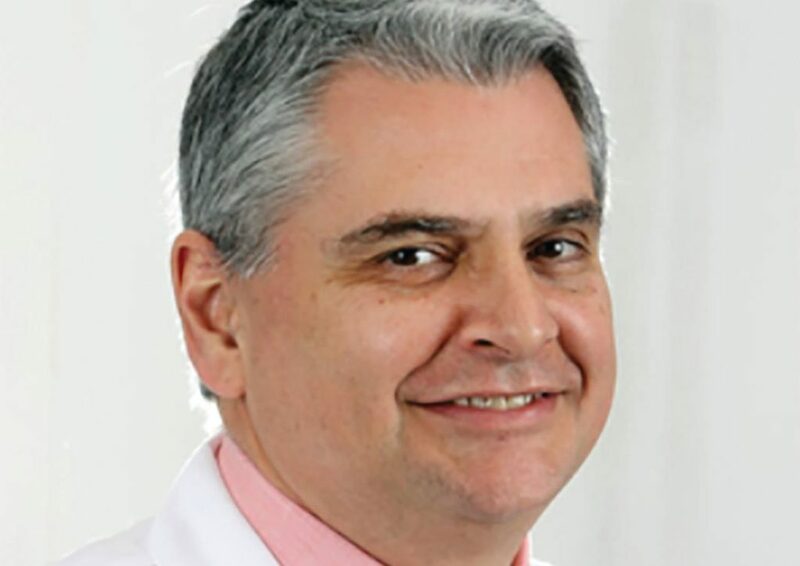 A Brazilian doctor has recently joined The Greater Waterbury Health Network. Mauricio Silva, M.D., Ph.D. will be practicing as a primary care physician at Alliance Medical Group in Naugatuck. Dr. Silva received his medical degree from Faculdade de Ciências Médicas da Santa Casa de São Paulo, Brazil. After completing a residency program in internal medicine, he continued his post-graduate training and was awarded a Ph.D. degree in medicine from Universidade Federal de São Paulo. Dr. Silva moved to the United States in 1999 and attended a post-doctoral research program at Yale School of Medicine. After deciding to resume his clinical activities, he completed the internal medicine residency program at MetroWest Medical Center in Framingham, Massachusetts. “I am grateful that I can also assist the Brazilian and Hispanic communities. I know how important it is for patients to talk to a doctor who speaks their language. Many have shared with me that due to their limited English skills, they cannot explain all their symptoms to a doctor, making the diagnosis more challenging,” emphasized Dr. Silva. Dr. Silva is certified by the American Board of Internal Medicine and is a member of the American College of Physicians. He speaks Portuguese, his native language, and Spanish. “I see my work as a primary care physician as an opportunity not only to address the medical conditions my patients may have but also to improve their quality of life through preventive care,” said Dr. Silva. Darlene Stromstad, FACHE, president and CEO of Waterbury Hospital and the Greater Waterbury Health Network, welcomed Dr. Silva: “We are pleased to welcome Dr. Silva to Alliance Medical Group, a talented doctor who can serve many of our Naugatuck patients in their own language,” Stromstad said. The Alliance Medical Group’s primary care physicians are highly trained and qualified. The multi-ethnic group’s expectation is that patients be followed by professionals from their teen years until the end of their lives. Primary care physicians are frequently called to act as consultants to other physicians to assist in identifying diagnostic problems. Greater Waterbury Health Network offers a range of services through its affiliates, which include: Waterbury Hospital, Alliance Medical Group, Cardiology Associates of Greater Waterbury, VNA Health at Home and Access Rehab Centers. To make an appointment with Dr. Silva, please call (203) 729-6641.